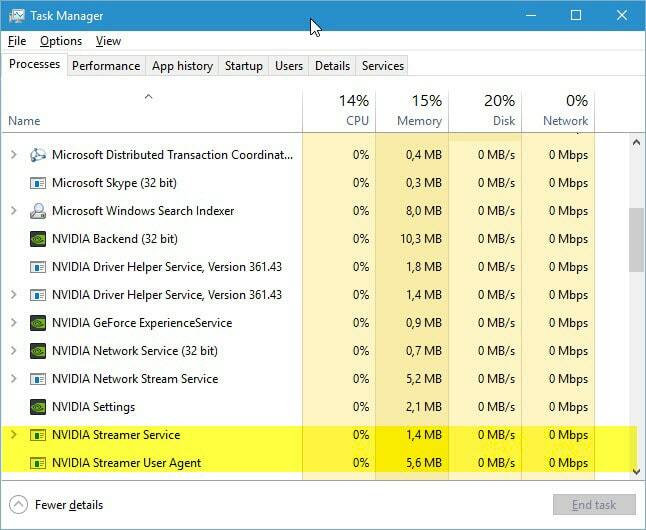 After Upgrading to Windows 10, many users reported experiencing Nvidia Installer Failed issue. If you too have the same problem then Don’t worry this is a common issue for all Gaming users. 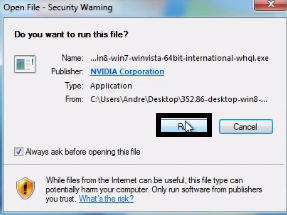 In this Guide, we will assist you in fixing the Nvidia Installation Failed error in Windows. If you are a gamer and playing high-quality games on your Window PC then you know that Graphic Card is required to play games. NVIDIA is a leading manufacturer for high-end Graphics Cards. 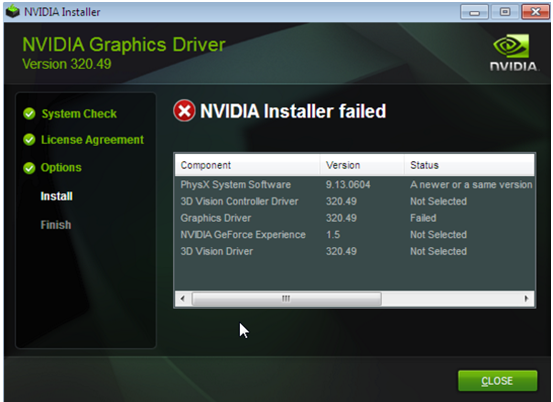 To play games, you have to install Nvidia Graphic Card drivers but sometimes, while installing Nvidia Card Drivers, you face an Error that Installer is failed. Now without installing the drivers, you cannot play games. 1.1 Why Nvidia Installer Failed? 1.4 Fix 3: Perform Clean Installation. 1.5 FIX 4: Kill All Nvidia Processes and remove the Redundant Files. Now there are two options. 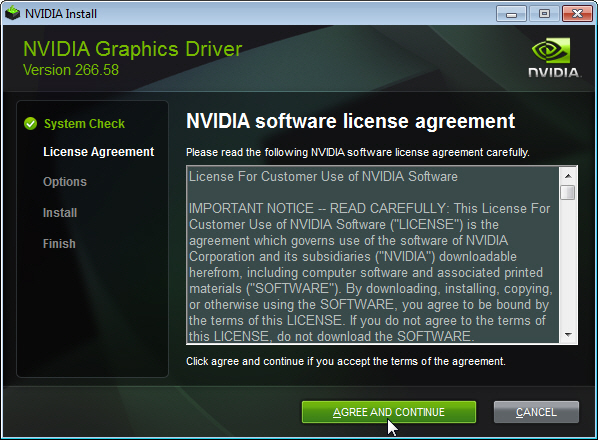 Eighter, you can reinstall the Nvidia driver or update it using 3rd party driver update tool. Also, you can try to update your Windows OS. Microsoft always recommended users to install all the available Windows updates. You can Download new Updates from Microsoft website. Also sometimes Antivirus blocks important Nvidia services and thus you can face this issue. So try to disable 3rd Party Antivirus and then try again. The reason for Nvidia driver installation failed is, After upgrading your system, Windows will automatically attempt to download the latest GPU drivers in the background, which generally takes around 5-10 minutes to complete. So, During this process attempting to install the drivers manually makes you experience Installation failed error. You can resolve the Nvidia installer failed error by updating the Graphics Driver because mostly incompatible drivers are the reason behind this problem. To update the driver there are two ways to do it and they are as follows. Step 1: Go to this Page to update the driver automatically. As soon as you go to this page, the website will start scanning automatically like shown in the below figure. Step 2: After the scanning gets completed it will show you suggested drivers update or install. Follow them accordingly. Step 1: Open the Device Manager by pressing Win+X. Step 2: Find the Display Adapters from the device manager window and expand it. 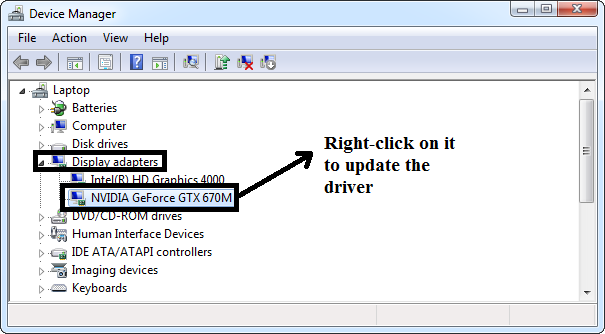 Step 3: Right-Click on Nvidia Geforce Drivers and select Update driver software. 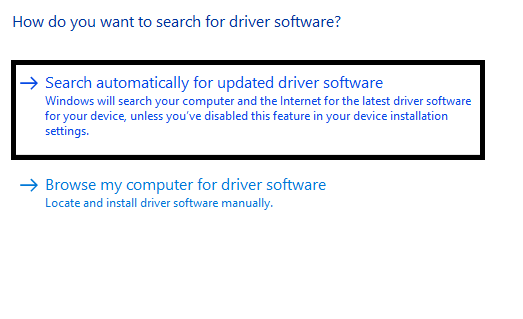 Step 4: Then the following window appears, choose “search automatically for updated driver software”. Step 5: Now, Windows will search online for any updates are available for the driver. Step 6: If there are any available updates then it will install them or else it will show as the below image. According to the Industry experts, “NVIDIA Installer Failed” error can be caused by the anti-virus software program as it blocks the Nvidia installer to install it properly. 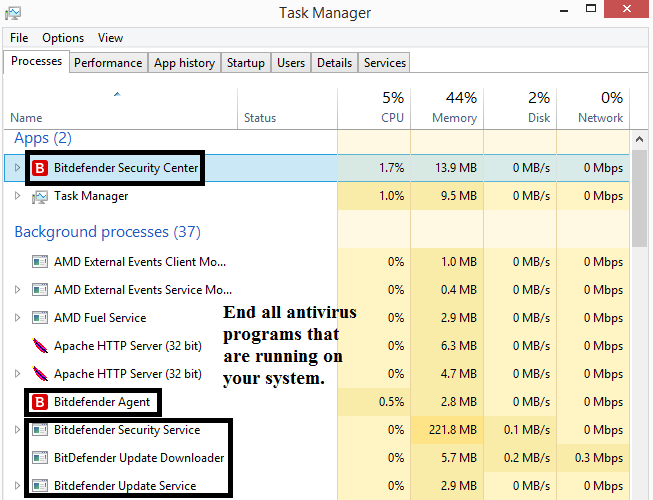 So if you installed any antivirus software like Forticlient, Comodo antivirus, AVG Antivirus or any anti-malware program then better close the software before installing a new NVIDIA graphics driver. Step 1: Start “Task manager” (ctrl+shift+Esc). Step 2: Click the Processes tab. Find all running processes of the antiviruses software and select them all one-by-one and then click “End task” to end the selected Process. 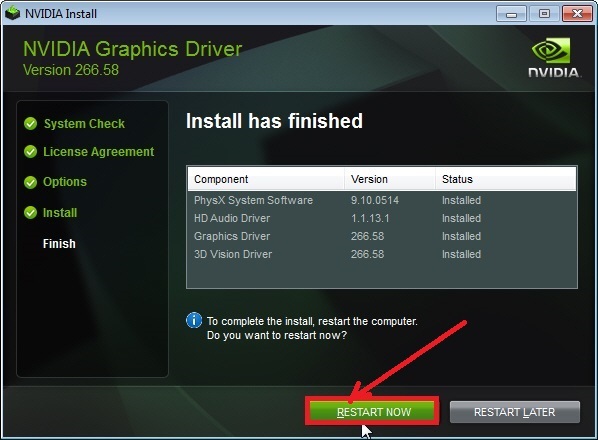 Step 4: Now, try installing the Nvidia driver by performing a clean installation. (you can do so by following the below method. Fix 3: Perform Clean Installation. To Solve the Nvidia Installer Failed issue, make your system to sit idle for 15-20 minutes to ensure that windows have completed downloading and installing all the updates. After that install the driver again and restart your PC. Step 1: Download the Latest version of Nvidia installer by entering your requirements manually then you can install the latest version manually. Step 2: Make sure that the downloaded driver version is compatible with your graphics driver. After downloading the driver close all other programs, including any anti-virus programs (Disable them temporarily) as they may interfere in the installing process of the Nvidia driver. Step 3: Save the driver only on the desktop. Don’t save it anywhere except on desktop and run as administrator. Step 4: Then the following window pops up, so Click on “Run”. Step 5: After that choose the destination location and hit OK. Step 6: Accept terms and conditions by clicking on the Agree and Continue button. Step 8: After that, you will get a list of components, so choose them according to your need. Check the option “Perform a Clean Installation”. Step 9: After the completion of the whole process, click on the “Restart now” button. That’s all, now check whether the problem got resolved or not. FIX 4: Kill All Nvidia Processes and remove the Redundant Files. Step 1: Press “Ctrl+shift+Esc” to start the “Task Manager”. 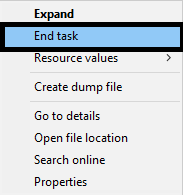 Go to the Processes tab, in the task manager and select every process related to Nvidia, right-click on it and select End task to close the file. 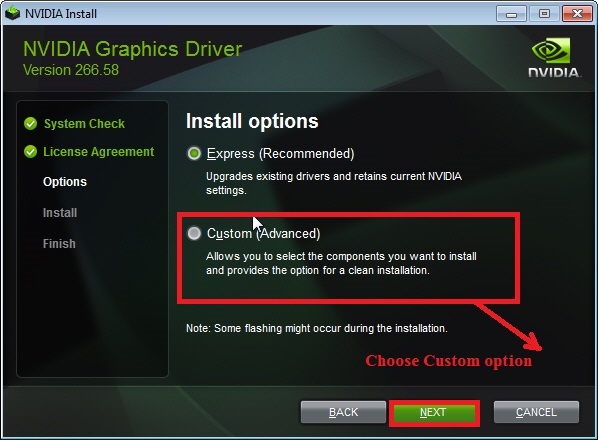 Step 4: Now, try re-installing the Nvidia driver by performing a clean install (custom install). So this was our small attempt to help you in fixing NVIDIA Installer Issue! Write to us if the issue persists. We will be more than happy to help.